When you’ve been in a serious car crash, your life changes. You need to deal with high medical bills, taking time off from work, and healing from your injuries. You don’t have to go through recovery alone, however. Rely on a trusted auto accident attorney from The Jaklitsch Law Group. Our experienced firm can help you win compensation for your injuries in Queenstown, MD. Our firm has helped clients like you since 1999, and our team is small but mighty. Most of our clients come to us because a friend or family member referred them—that’s how satisfied our clients are with our work. 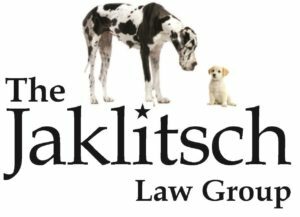 When you need a car accident attorney in your corner to fight for you, The Jaklitsch Law Group is the firm to call. To speak with a qualified auto accident lawyer, call us today at (866) 586-6079. We’ll set up a free consultation to discuss your case—and if we move forward, you won’t pay a dime until we’ve won your compensation. Reach out to us today to get started.